Joseph Bertoni has more than 25 years of experience in transportation engineering, planning and administration with the New Jersey Department of Transportation (NJDOT). Joe began his career with the NJDOT in 1988 in the Division of Bridge Design and has worked as a Project Manager in the Department's Capital Program Management unit where he was responsible for managing the design and construction of major bridge and highway projects. 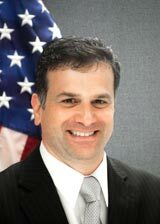 Prior to becoming Deputy Commissioner, Joe served as the NJDOT's Chief of Staff. Joe received a Bachelor of Science degree in Civil Engineering from Widener University and is a licensed Professional Engineer in the State of New Jersey and the Commonwealth of Pennsylvania. 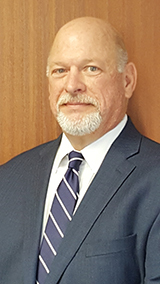 Lewis Daidone joined the NJDOT in March 2018 as the Assistant Commissioner, Finance and Administration. He oversees a staff of approximately 190 in the following divisions: Capital Investment and Program Coordination, Information Technology, Office of the CFO and Procurement. Most recently, he provided consulting services to consumer product, technology and financial services firms. Previously, Lew served as Chief Financial Officer and Chief Operating Officer for a global provider of supply chain and logistics software and services. Prior to that role, he was a Managing Director at a major investment bank and the CFO and co-founder of a financial services technology company. Lew is a Certified Public Accountant and received both his Bachelor of Arts in Economics and his MBA degrees from Rutgers University. 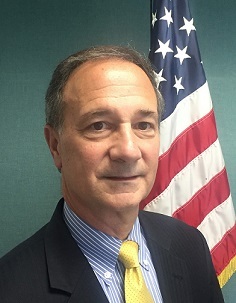 Andrew Tunnard joined NJDOT in July 2011 where he served as the Executive Director, Operations before his promotion to Assistant Commissioner, Operations in April 2014. Andrew is a retired Navy Commander where he served for more than 22 years in both active duty and reserve duty assignments. During his military career he was involved in Operation Desert Storm; Operation Restore Hope (Somalia); Operation Enduring Freedom and the Haitian earthquake relief efforts. Andrew also has more than 13 years of private sector managerial experience where his responsibilities included running operations domestically and internationally. As Assistant Commissioner of Transportation Operations Systems and Support Andrew is responsible for more than 1,600 personnel and more than 25,000 pieces of equipment to maintain NJDOT's transportation infrastructure. Andrew received his Bachelor of Arts degree in History from the Virginia Military Institute and his Masters in Business Administration from Marywood University. Michael Russo was appointed to the position of Assistant Commissioner in August 2017. Mike is responsible for managing approximately 230 employees in the Divisions of Statewide Planning, Multimodal Services, Local Aid and Economic Development, Environmental Resources, and the Bureau of Transportation Data and Safety. Mike has 34 years with NJDOT beginning his career as a Civil Engineer Trainee in the Region 3 Design Office working primarily on projects along the Route 1 corridor. Most recently Mike served as Director of Local Aid and Economic Development leading a team of professional and administrative staff in five Local Aid offices responsible for the Department’s $530 million Local Aid program. Earlier in his career Mike served in various capacities including Project Engineer of a Roadway Design Squad, District Engineer of the Freehold Local Aid Office, and Manager of the Bureau of Design Coordination and Geometric Design. Mike also served in the Division of Project Planning and Development managing Concept Development and Feasibility Assessment efforts on projects throughout the state including the I-295/Route 42/I-76 Direct Connection Project. Mike received a Bachelor of Science degree in Civil Engineering from the University of Miami in 1983 and resides in Columbus with his wife and two children. 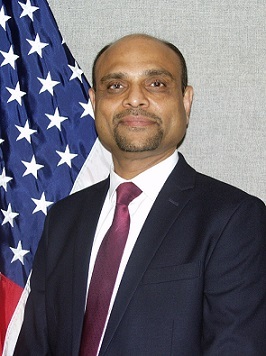 Snehal Patel was appointed to the position of Assistant Commissioner, Capital Program Management (CPM) in April 2018. 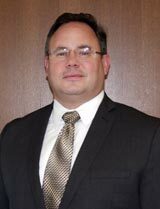 He will be a key member of the New Jersey Department of Transportation’s senior leadership team and will be charged with managing and delivering an annual Capital Program of $500 plus million in state and federal projects as well as overseeing a work force of up to 1,330 employees in six Divisions within the CPM. In this capacity, he will be responsible for enhancing the framework of project delivery; driving innovation though technology, policies and procedures; and developing talent though mentorship, training and informal succession planning. He will continue to collaborate with multiple internal and external stakeholders such as FHWA, NJAPA, UTCA, ACCNJ, ACEC, and other state and federal agencies. In addition, he will serve as a voting member on the AASHTO Highway subcommittee, and as the State Transportation Engineer of the Department. Snehal started his professional career with NJDOT in 1987 as an Assistant Engineer in the Roadway Design Squad of Region 1. He has held many supervisory, managerial, and senior executive positions within the Department which showcase his versatility and leadership skills throughout his career. Prior to this appointment, he served as a Director, Division of Construction Services & Materials, and as a Deputy State Transportation Engineer. His accomplishments in that capacity included managing an annual construction program of over $2 Billion which included some of the most complex projects such as the Route 7 Wittpenn Bridge, Pulaski Skyway rehabilitation contracts, Route 35 Restoration, Route 72 Manahawkin Bay Bridge, and Route 295/42/76 Direct Connect contracts while directing a staff of over 500 employees. Prior to that, Snehal’s professional career path included various managerial and senior executive positions such as Regional Construction Engineer (Division of Construction Services & Material); Program Manager (Division of Project Management); Project Manager (Division of ROW and Access Management); Manager (Roadway Design Group); and Project Manager (Division of Project Management). Snehal received a Bachelor of Engineering (Civil) degree from S.P. University in India, and a Master of Engineering (Civil) from Stevens Institute of Technology in New Jersey. He is a registered Professional Engineer in New Jersey and Pennsylvania. He is certified as a Project Management Professional, and a Public Manager. In 2017, he was named Government Engineer of the year by the American Society of Civil Engineers. Amalia P. McShane was appointed Acting Inspector General in July 2017. 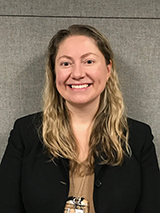 In that role, she manages NJDOT's Internal Investigation Unit, Office of Internal Audit, the Records Management/Open Public Records Act (OPRA)/Tort Unit, and the Ethics/Special Projects Unit. She is responsible for coordinating major investigations involving NJDOT assets and employees with federal, state and local law enforcement agencies as well as administrative bodies within NJDOT. As Inspector General, she also chairs NJDOT's Accident Review Board and is Department’s designated representative for all under the Conscientious Employee Protection Act (CEPA). Amalia continues to serve as the NJDOT’s Custodian of Records, supervising records management including fulfillment of Open Public Records Act requests, as well as subpoenas and issuance of litigation holds. She served as the Department’s Ethics Liaison Officer from 2013 through 2015. Prior to joining NJDOT, Amalia practiced as an attorney in Philadelphia. She received her juris doctorate from Villanova University School of Law, and is an alumna of the University of Maryland at College Park.